Possibly hard to believe for those of you that only know me now, but in my university days I lived in Adidas gear (and baggy Levis and SWEATBANDS). I had a pretty big trainer collection and spent most of my Waterstone’s lunchbreaks lurking in Ran on Deansgate, eying up Orginals pieces that were way out of my price range. It was a dismal time, sartorially-speaking, but we live and learn eh? 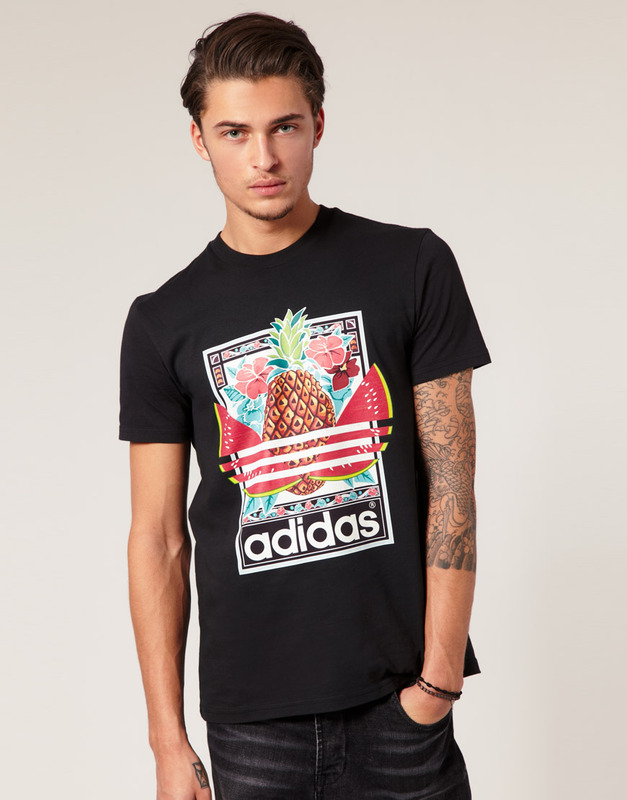 I had a flashback to those halcyon days on the train the other night when I spotted a guy in the above Adidas Originals t-shirt. No surprise to learn it was the pineapple what done it. I spent a while trying to track it down online, only to find out that it’s sold out and old. Really? It feels very SS12 with its fruit and floral print, but there we have it. 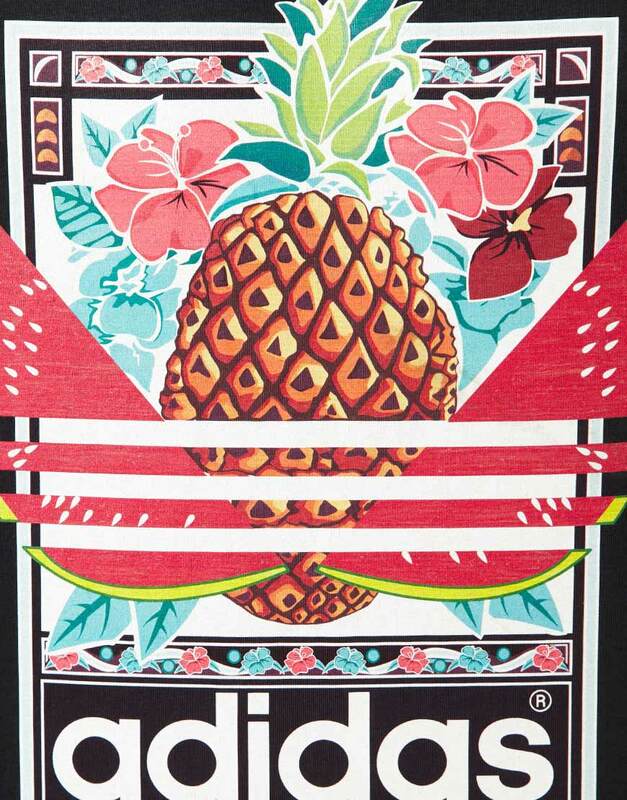 Sweet Adidas Originals Fruit Graphic T-shirt, you could have been the first step in a (potentially-terrible) style revival.